In India, cricket is not just the sport, but in fact, it is a second religion. This statement has been mentioned millions of time, whenever someone has introduced the cricket in India. Like IPL league, World Cup trophy and other cricket leagues, the sports betting app Dream 11 have its own significance, owing to its marketing or with the proximal features similar to feel yourself on the pitch. Dream 11 is an India based fastest growing fantasy cricket league platform, with the rapidly growing base of 20 million+ users. It offers the Android/iOS and website interface to the users to play and bet over the fantasy leagues. With Mahendra Singh Dhoni promoting "Khelo Dimag Se", how can it be the runner up in the race? If cricket was the religion, then it would be the largest religion, alongside one of the largest industries with a multi-billion turnover. It is pretty known that cricket is not just the sport, but a glamorous sport with corporate, media, technology and betting under the table though illegal but who cannot deny that people are doing it. The increase in popularity, reach to different continents of the world and a penetrating inclusion of technology evolution, has made it the heart throbbing game of billion of loyal fans. This huge hype pushed the innovators to bring this user experience to the next level with an amazing app like Dream 11. The digital revolution has also fueled p the Fantasy sports service industry with cricket gods promoting the viewership of rising fantasy apps. One such huge crazy fan Harsh Jain started shaping this and named it Dream11 with the tremendous launch in aggressive IPL 2018 season through online media channels promoted by "Mahi". The sports betting app development has made the fans more active and involved in the game through a user-friendly mobile window. Though the app is a big success within a limited time period, still, it faces many of the players in the market such as Myteam11, Plays up, CricBattle, FanMojo etc. The ones who are looking for cricket betting app development must figure out first, what is the business model and workflow of the giant app. Then only the focus can be shifted towards the cost and features of the app. IFSG-AC Neilson report stated that 67 percent of the 180 million online cricket fans in India are interested in fantasy sports. Dream 11 is the biggest player in port fantasy industry with 1.8 crore users. Last two year saw the significant growth from 2 million users to 20 million in two years. 89 percent of the users are interested in playing fantasy port at least once a month. 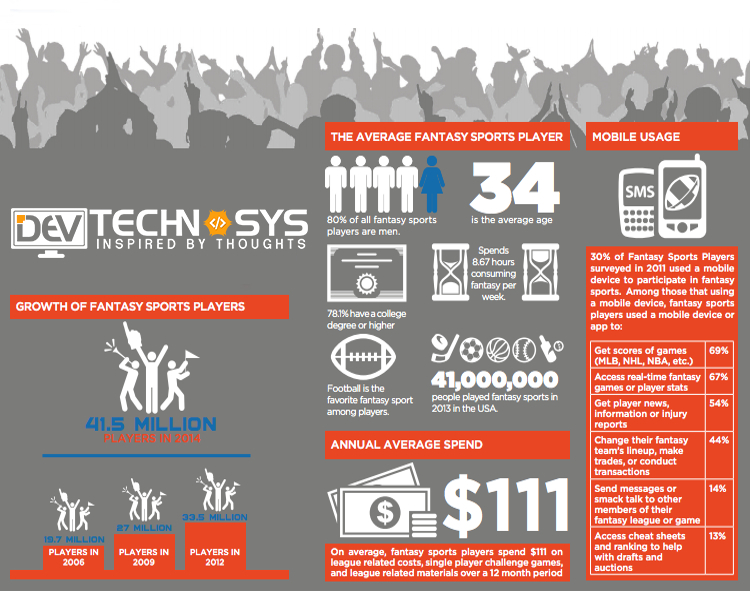 High engagement is seen with average user spending 4 minutes a day in playing the fantasy sports. From a business perspective, it is a great idea to build a gaming app by any best mobile application company. The business model is being adopted by startups with the scope of revenue generation through brand partnership, advertisement and entry fees. First understand, why India is the biggest market for fantasy app. Dream 11 the giant player of fantasy sports betting industry is enjoying more than 1.8 crores of registered users with 900 percent growth in this industry segment, such a large contribution the app has given. Clearing your myth in prior, Fantasy sport is completely legal platform and can be understood as the future of online gaming. IPL 2018 came up with their own fantasy mobile cricket and showed the statistics of the fantasy cricket app user during the live matches. Noticeably, the number of users during the season was 8-9 million itself are the proof. Every venture into mobile development services is not done with the same objective in mind. Similarly, the fantasy sport is the huge pool, where every investor is coming with its own viable goals. If you are an entrepreneur keen to venture into the fantasy sports arena, then you must keep the revenue model in place whereas if you are a sports brand, and investing for enlarging the brand frame then your objective is to engage your fans and leveraging your fantasy sports business. For sports media, the user engagement is the prior motive while the iGaming opts or promoting its products. By defining your goal in prior, you get able to pick the right app development partner. Research analysis is crucial first to know the speed of growth of particular sports in your country. Take a larger view, your app can be used worldwide, so think accordingly. The analytical factors give you a clear understanding of the growth prospects in a particular arena. Plan your investment, find out your market segment, start thinking about your niche, plan budget, teams, and list out the integral features along with deadlines. Once you have decided to go with cricket betting app development with the help of any known mobile app development company, it is always good to list out the prominent league in your targeted demographics. The best thing about the fantasy sports app model is that it can be applied to every sport with its own tweaks game rules. This way, you can enlarge the scope of fantasy app. The fantasy sports app is now not a new launch. There are a number of variations available in the market; therefore you must go with defining your USP. Think of the factor, which sets your app apart from other apps. What are the ecstatic features your fantasy sports app consists of in comparison to other competitors? This way your cricket betting app development partner can integrate the unique features in your app and make you look unique and something grand. The race is to distinguish you from others. Never think of relying upon a single platform. Both mobile and Web platforms are equally important. Mobile has become the second requirement of every person after cloth. However, it is beneficial to spend heavily on the mobile interface as a number of mobile users are significantly higher than desktop users. A perfect combination of elegantly designed mobile interface and optimum functionality gives a significant advantage to your business. Therefore, it is necessary to communicate with expert mobile development services. It absolutely depends on you to develop the game rule and format. Just define the rules and let the user know to avoid difficulties over the later stage. The actual task is to make the app as interesting as the real sports along with the entire engagement with sports if you hire app deveaner with any app development company. The successful app Dream 11 offers a wide range of game format along with practice contest, free contest and seasons, where user participates and wins money. If you basketball enthusiasts, then the same fantasy sports model can be applied to any game you wish. Dream11 includes NBA, Football, and highly rising Pro Kabaddi which widens the scope to tempt users. A user panel contains the registration/login page, the home screen for easier navigation, information of contest running currently, payment area; create your own contest page, Joined contest and dashboard along with one feature for the setting. This is the main screen, where the user lands after login. Here, a user can filter the search by match, sports, match category, match lifting, tournament name and match timing. Once the user selects the desired match or content, he is redirected to that page. This section is available to let the user view the entire contest listing for a particular match with details. Contest listing includes the Contest type, entry fee, total winning amount, and team counts. Use pays the respective fee here and joins the contest. A user gets able to view and update the profile details. This also includes, reward points, account details, winning amount, ranking and Invite & earn options. An admin panel consists of admin login area, dashboard, user management area, Match management, earning, reward management, payment management, report management cash bonus management and CMS page. In order to make the Fantasy sports app more interesting and amazing, some additional features can be integrated into the app. With additional features, the app performance can be speeded up and enhanced whereas the admin work cuts down. A good cricket betting app development company offers the complete customization for the clients, which makes the app more targeted, comfortable and manageable to handle. Here is the list of additional features. • Live Match Score: This is the must-have feature for sports betting app development. Here the user can see the live scores, game highlights, expert reports, and original video programs. • Live Score API Integration: These APIs are available to provide easy to use data for developers. • CRM integration: CRM integration is there for service provider and helps in managing the tickets, emails, push notification and other relevant things. • Customer mail reminder system: This is integrated to give the email reminder to the customer for upcoming matches and info related to the picked team or its players. • Push notification: Push notification alerts the customer when the app is starting and when it is the time to create the team. • Real-time analytics: Real-time tracking data is constantly stored and updated to offer the current match info. • GPS location tracking: Integrating the advanced technologies enhances the user experience and makes your app stand ahead of the crowd. Alongside, USP is the section which is needed to be stronger and robust. Stronger the USP is, stronger would be your customer base. Below are some technologies, which can be integrated to make your first choice. The companies dealing in mobile app development solutions possess the expertise in APU and Chabot development. These can be integrated into any sport. 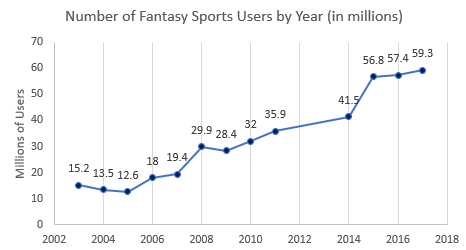 It is predicted that by 2019, 2.7 billion fantasy app users will play through their Smartphone. The same fantasy port model like Dream 11 can be implemented to other games. Sports betting app with basic user panel feature costs around $8000 for both iOS and Android, while admin panel costs around $9000.If you are looking to hire mobile development services, the cost of development depends upon the number of hours dedicated to development. Alongside, Geolocation of development also takes a toll over the development cost. The US-based developer costs between $100 to $250 per hour. Eastern Europe based developers can be hired for $80 to $180 per hour. Where Asian developers are bit cheaper starting from $60 to as high as $180. 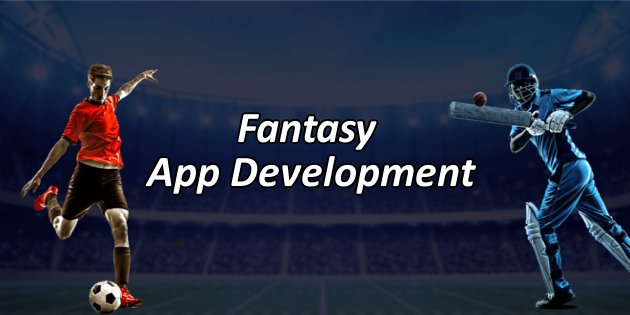 A fantasy sports application for both mobile platforms including website costs around $20000. Dream 11, is a freemium fantasy cricket game, where the cricket lovers can register and join the contest for free or sometimes with the pre-decided fee. The thrill of the game is always with the huge number of fans, and the cost at every single step avers them, so maintaining the fantasy thrill, it is not easy to earn money. The large and complicated nature of the app, often disallows to correctly calculate how the app is earning revenue. The rough estimate gives the anticipated revenue of US$ 600000-900000 from each match. Dream 11 also offers the thrill of other sports enthusiasts like NBA and football to make their own team and experience the frenzy fantasy sport along with the unmatchable zeal of real sports. What is interesting for investors around the world is that the idea of fantasy sports betting app development can be applied to all sports with their own game variation and minor tweaks.